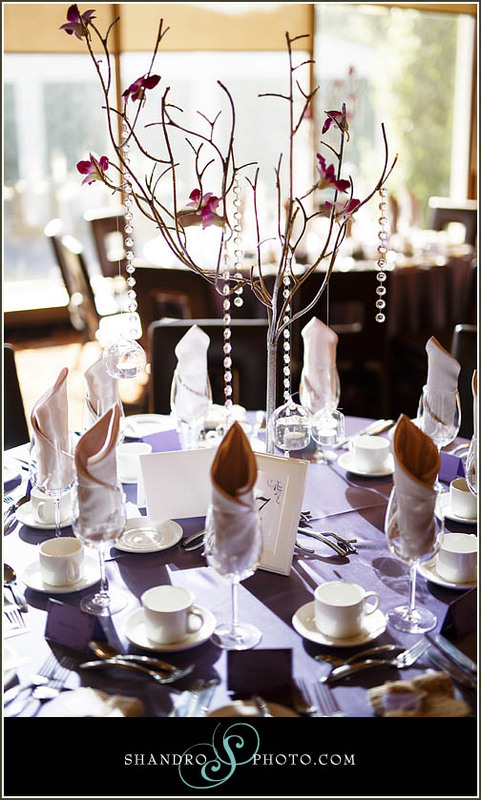 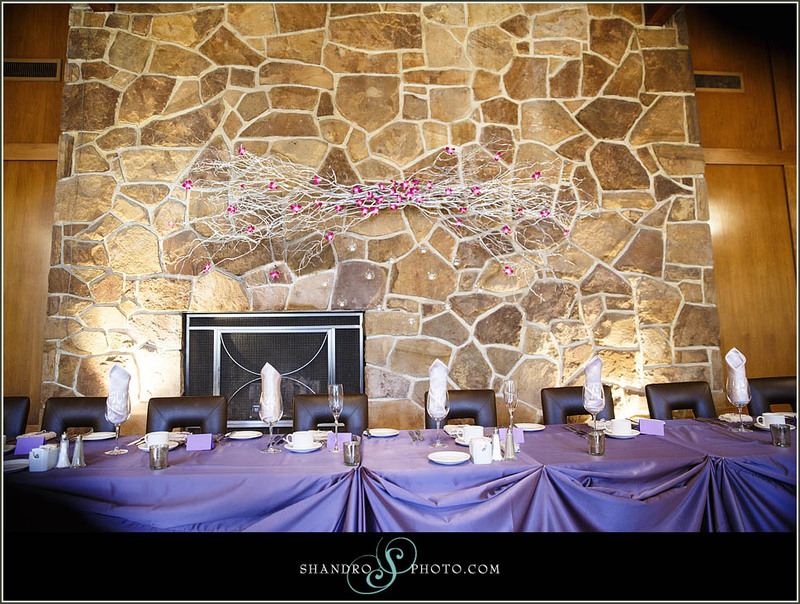 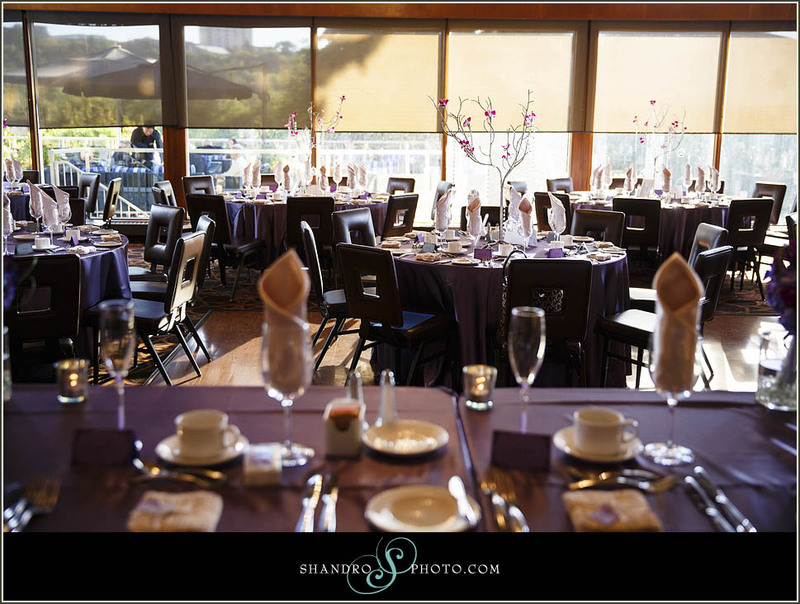 The Glenora has high beam ceilings which called for taller centerpieces. 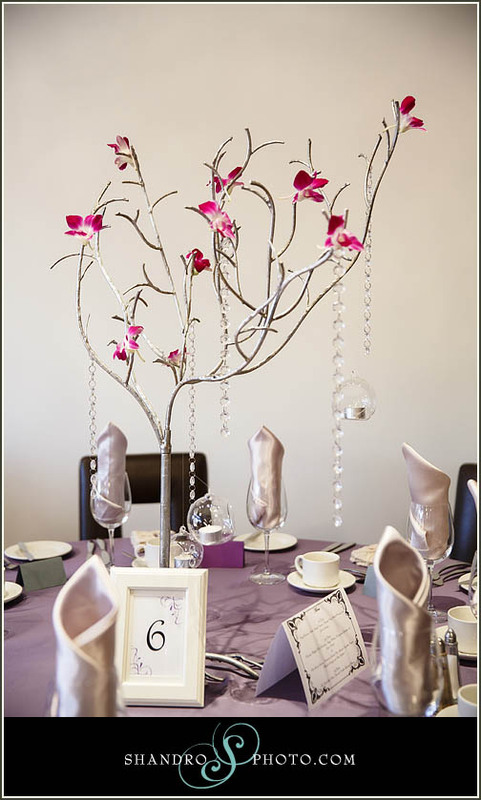 Our silver trees demand attention but don’t obstruct the guests view over dinner. 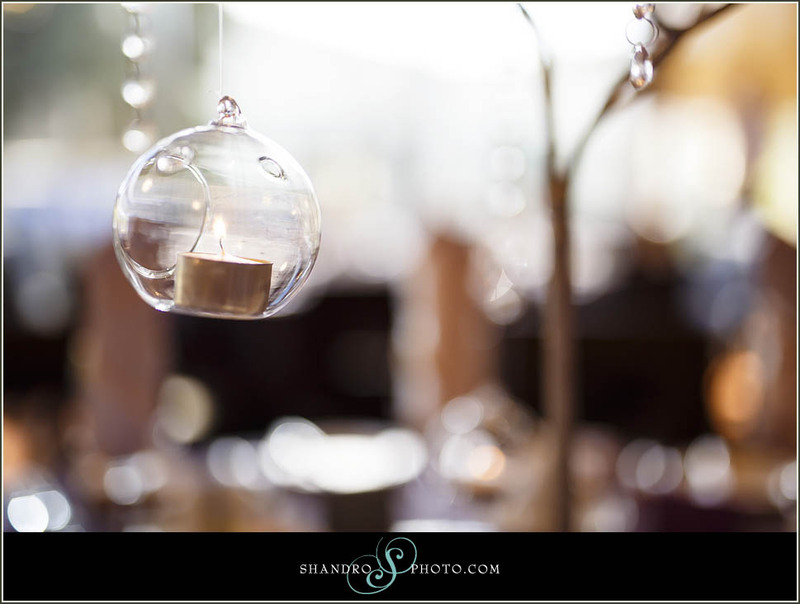 We hung glass bulbs with tea lights for a beautiful glow after dark. 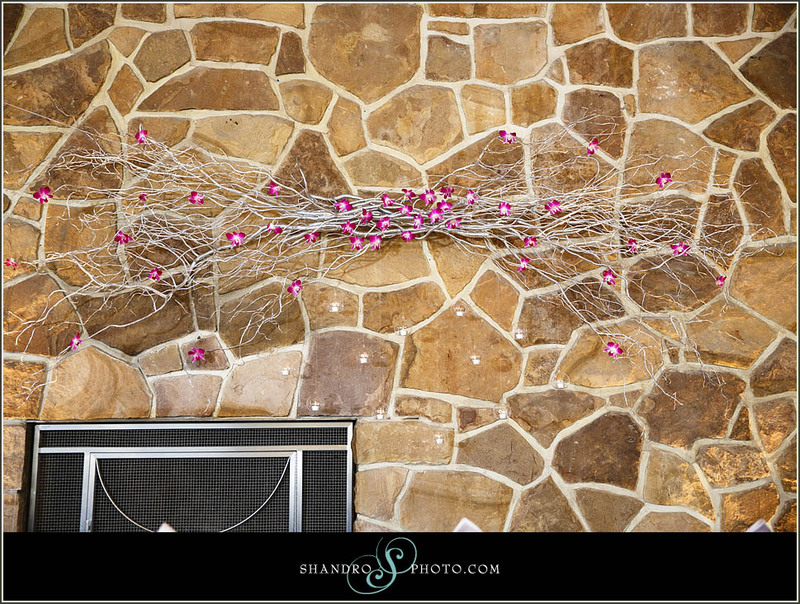 We attached fuchsia orchids for a pop of color and crystal strands for sparkle. 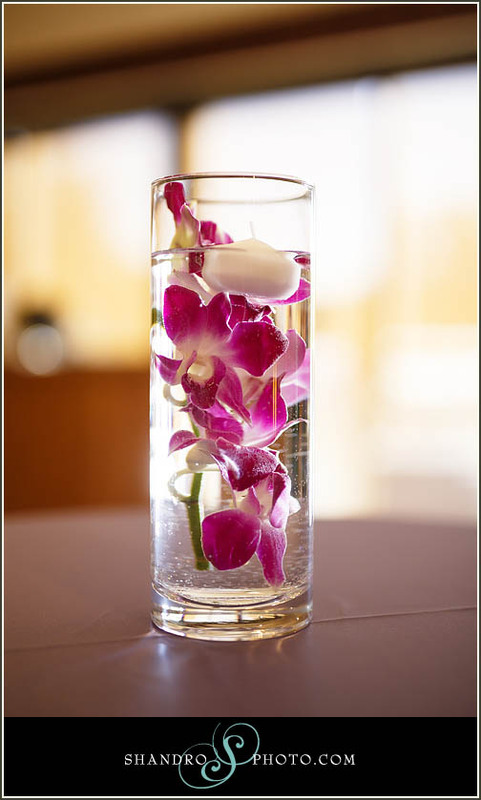 Fuchsia orchids in water topped with a floating candle acted as centerpieces for the cocktail tables by the bar. 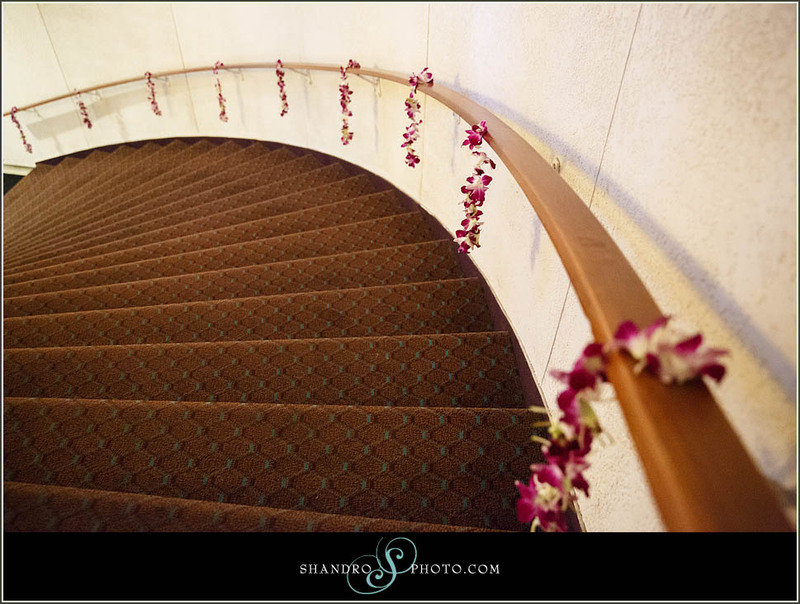 Orchids dripped over the staircase railing leading guests up to the reception room. 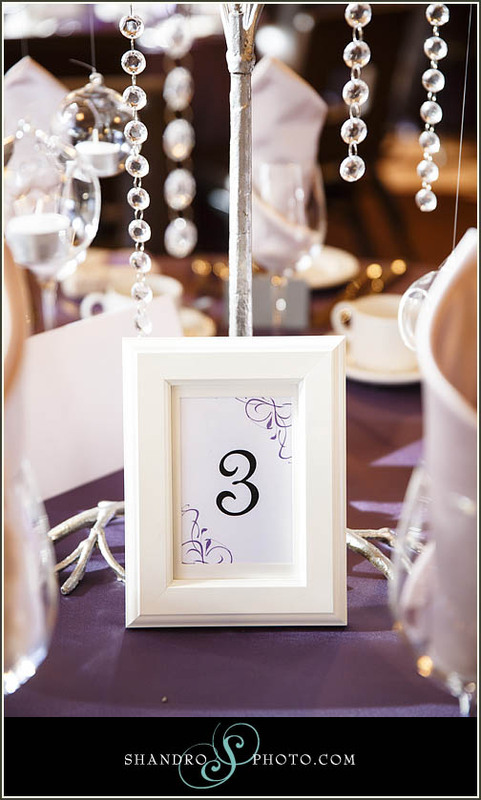 The bride DIY’d the table numbers, which perfectly commented the table decor.